me and my friends went here in summer and had just the best tim ever, yani, the guy, is soo lovely and cute and makes a nice omelette- bacon and cheese! sooo yummy :) the rooms are very basic but are u really gona care its just somewhere to sleep when your hungover and tireed! theres a little portable stove to cook pasta on, and the shower is handheld but this is very fun if u want a cheeky water fight!! the poool is lovely and has a little bridge over it, but get down early to get a sunbed... there are a few wasps around but if u stay friendly so will they... its a 5 minute walk to the local shop for all the neccessities, ie fags booze bread, and the cab rank from here only charges 6 euros to anywhere along the strip so its a bargain really- the strip/beach may be a 20 min walk but just get a cab hardly a rip off! the happy hour here is a good starter to your night wif 2 for 1 cocktails and a free shot wooo! and the friday bbq at 9 euroes is well worth it, its so homely and cute..! some people may slag this hotel off for being dirty or cheap but do 1 cos its the perfect little place to stay in zante for a laugh, some decent food, and a alcoholic cocktail! ohh, and u can rent a safety deposit box for ur valuables and air con!!! It is situated down a little side road off the main strip into Lagana, it's very badly lit and can be quite scray walking down it at night. Me and my friend returned from these apartments about 1 week ago and I would not stay here again. There is a lot of building work going on down this road and there are lots of half built buildings which is a bit creepy when walking down this at night to go out. I did not feel safe at all!! We arrived here at 7am in the morning to find 4 bulbs had gone in our apartment, one of which was in the bathroom. The lighbulb from the bathroom was smashed and there was bits of broken glass in the sink and it looked as though someone had been drilling as there was debris in the sink aswell. The bottom of the shower was filthy, I wiped it over with a cloth and it was black!! We went self-catering only to find one portable electric hob, there was nowhere to plug this in in the kitchen area so when we wanted to use it we had to plug it in and use it on top of the dressing table. This was also filthy, I turned it on to use it and it was burning and smelled of smoke, it obviously had not been cleaned properly. We gave up using this and ate at the pool bar everyday instead. There was graffiti on the dressing table and despite being self catering there was no dining table. The whole place was filthy. There was a stain on the mirror when we arrived and despite specifically asking for this to be cleaned the stain was still there when we left. We went 4 days without the sheets and towels being cleaned! The shower was rubbish, there is nothing to clip it onto so you have to hold it over yourself, then turn it off and off again! The shower curtain gfalls outside of the shower so the bathroom floor was constantly wet with nothing to clean it up as we only had 2 towels to last us 4 days! The man behind the bar is very friendly and will do anything he can to make your stay better. The beach is about a 30 minute walk away, the first 20 minutes are not nice as there is no real pavement to walk. The bars and clubs are really good but these are also about 20-25 minutes walk away. There is a taxi rank about 200 meters from the hotel and they charge 6euros to anywhere in Laganas so this is well worth it. There is a supermarket next to the taxi rank but to be honest, this isn't great and it quite expensive. Most of the time we went to the Yakinthos hotel and used their pool as it was open to all. This had a really nice atmosphere, the lady who runs it is really friendly, the food is ok, they sell a wide selection of lager and cider and have music playing throughout the day (they will even put your cd on for you if you have one). I would recommend staying here! When we booked the holiday (some 9 weeks before departure), I wasn't able to find out much about the apartments other than what was already on the Olympic website about the place. I'd even googled it and searched using other search engines, to no avail. What I'd read about the place was not of much use except to look at the few photographs they had. There were no details as to how far away from the beach it was or how long it'd take to get places. I hope this may be of help though. We flew from Birmingham through Monarch Airlines and stayed from the early hours of 22nd June 2007 until the midday check-out on the 28th June 2007. The first thing I was aware of is that you are no longer allowed to film take-off and landing (the cabin crew say that 'use of electronic equipment is not permitted while the fasten seatbelt sign is illuminated') so I wasn't best pleased with that, seeing as this was the first proper chance I'd got to use my new toy. Anyway, back to the point. We landed at Zakynthos airport a few minutes after 5am (local time) and made our way to the arrivals area (which, I have to say is much improved on what it used to be), although, it would have been of use to all people arriving if the monitors above the carousels actually indicated which flight number(s) the luggage was from. We got onto the transfer coach. After dropping off the other arrivals we finally got to our apartments (at about 6.30am (local time)). Now, to drive from the apartments to the beach would have taken about 5 minutes. To walk though, it takes about 30 minutes (although I do consider myself to be a faster than average walker anyway). I was on holiday with my wife, Mother and Father In-Law. When I was in there company and heading for the beach, it took an average of about 45-50minutes to walk the distance. 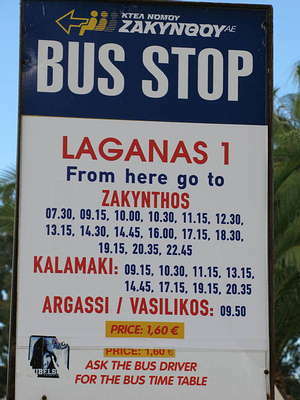 As for the location of the apartments, if you are walking away from the beach and keep going past the crossroads (where the Go-Karts are) and still keep on going past the Hotel Perkes and again, still keep going past Pythari apartments/restaurant and past Paradise Restaurant/Apartments, you'll eventually come to an area of Laganas called Agrillia. Here you'll see that on the right, there is a cyber caf�/bar called Planet and on the left there's a rental place called Dennis. A little further on the right there is a supermarket and opposite to that, there is a left turn next to an English bar, which, after walking for 2 minutes, you arrive at the apartments (which are signposted/named as HPA Apartments). The apartments themselves are very basic but also very clean. In the apartment we had (apartment number 5) there was a 2 ring hob/cooker and a fridge as well as some crockery/cutlery. The bathroom was a bit on the pokey side but it was sufficient. The shower didn't hang from the wall as you'd expect it to be but there was a shower curtain (so at least you didn't flood the place as much). Also, the electricity in our apartment was controlled by a key fob that had to be placed into a slot on the wall to keep the electric switched on. The balcony we had was a bit unusual, I mean we had a balcony but is was a bit of a tight space, I mean, there was a table and chairs but not enough width to the balcony to be able to get round the table to get to the chair on the other side (you had to breathe in to be able to get round it) also, the balcony ran the full length of the side of the building but had a lockable door/gate halfway which, (if the other half of the balcony was in use), would make sense. However, the balcony for the next apartment (apartment 6, where the In-Laws were), was on the front side of the building. On our first night there, none of us were able to sleep (this was nobody's fault; it was just too damn sticky and humid to sleep). So, the next morning we all paid for Air-Conditioning for the remainder of the holiday which was 6 Euros per day per room (approx. �4.20). There was a slight problem with that. On the morning we paid for the air-con, I had to go into Zakynthos town to collect a hire car and we didn't have a spare key so that we could leave the air-con on while my wife stayed by the pool and I went into the town. We managed to gain a spare key from the boss of the place and were then able to leave the key fob in the electricity slot and leave the Air-Con and electric on (hope I haven't lost you), but still able to gain access to the apartment. 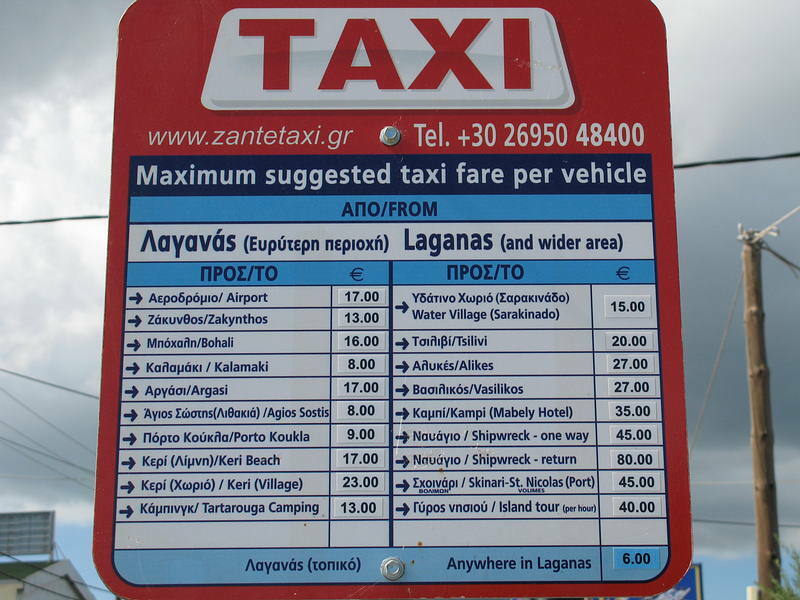 Once I had returned from Zante town, we picked up the wives and went out for the day. When we got back, the boss of the apartments demanded the spare key back because the maids weren't able to gain access to clean our rooms. So basically, whenever we went out, the Air-Con didn't work and we always came back to a warm room, which would lead to another problem. If the patio/balcony doors were open, then that would break the circuit for the Air-Con and so we'd have to sit in the room while we waited for the Air-Con to take effect and we weren't able to sit on the balcony while it did so. The In-Laws didn't have this problem as their electric didn't work off the key fob system, it was permanently on and were able to go out of the room and leave the Air-Con on all day and return to a cool room (naturally, they had the circuit breaker on their patio/balcony doors but they didn't open them unless they needed to). We stayed at Hera for 2weeks from the begining of sept this year. We found that beach was quite a walk from the apartments, took about half an hour to walk which takes it toll when you walk there during the hot day, so we stayed by the pool most days as it is nice and quiet and quite large. We hired a quad for a couple of days to get us about which was well worth the money! 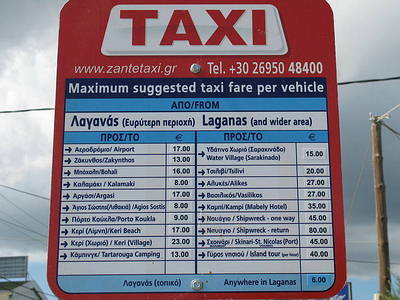 But you can get a taxi to the beach for 6 euro. The owner is really friendly and Andy the bar man is a nice guy, the maid didnt clean our room everyday and so we wud have to use the same towels for a few days, however the apartments were nice and clean and basic. The location is quiet, due to being away from the bars, club etc however music is played most of the day and tv during the nite, but we didnt find it a problem!